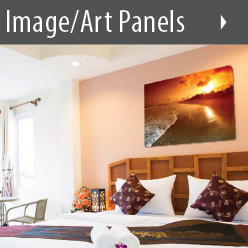 Show off your style and hobbies with image art panels. Browse our galleries of popular images or upload your own personal photo, logo, or design for a personal touch. Audimute’s signature handcrafted acoustical wall treatments. 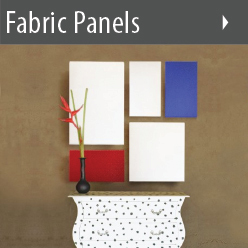 Choose from 15 traditional fabrics, 7 designer textured fabrics, 12 HC fabrics, or a custom finish. 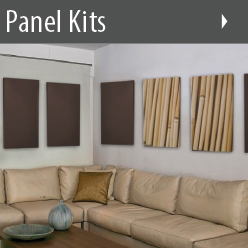 Simplify acoustic treatment with an acoustic panel kit. Multi-panel kits are designed to attractively treat common room sizes. Bring your space to life with your own personal touch! Anything you can imagine Audimute can make into a panel. 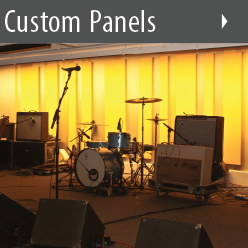 Create unique acoustic décor with custom fabric, image, and size panels. 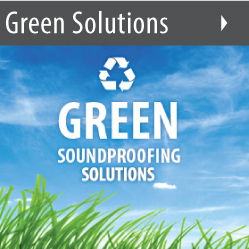 Use our Offset Panel Mounts to offset your Acoustic Panels from your wall by 2", increasing acoustic performance. 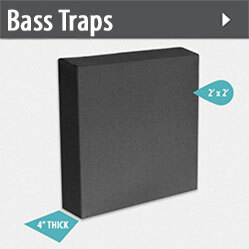 Audimute corner bass traps are a low cost yet highly effective solution for enhancing the acoustics in home and professional studios. Why are bass traps so important? Bass traps manage low frequencies and leave you with a better sounding space. Leadership in Energy and Environmental Design is a comprehensive rating system that rewards builders for using resources responsibly. Learn how points are earned and how Audimute’s materials and resources can contribute to a design score and overall indoor environmental quality. Try before you buy. 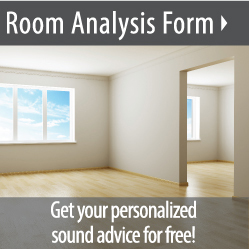 See a sample and learn about available rebates. 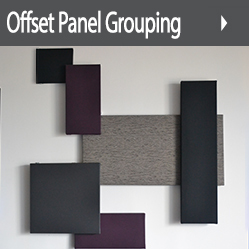 Improve the performance of your Acoustic Panels by using our Offset Panel Mounts. These clips will create a 2" air gap between your wall and your Acoustic Panel.